AISI 304 L quality stainless steel chrome material used in the whole chamber and especially in the body structure. Vacuum engines and pumps are original German Becker or Italian DVP Vacuum Pump. The electrical component is based on the IP65 protection system. Siemens and Schenider are used in electrical components and Festo Brand pneumatic components. Since the machine has single chamber, the machine is able to assemble to previously installed conveyour and filling systems. Generally, no operator is required. Cleaning and maintenance procedure is very simple. 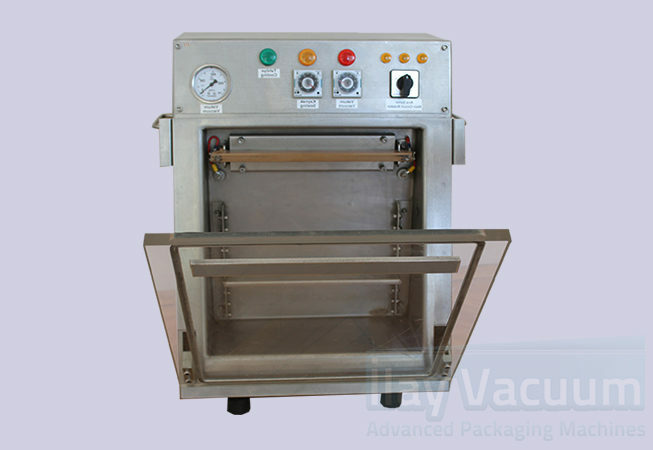 The vacuum process and the sealing process can be used separately from each other in different ways. As a protective nitrogen gas (M.A.P.) the gas function is integrated into the model. In our model, it is possible to vacuum and packaging of every types of products such as powder and liquid. Chicken and red Meat products, Fish such as Seafood, Tomatoes, Cucumbers, Vegetables such as Garlic, Corn, Beans, Broad Beans, Chickpeas, Agriculture products such as red lentils, peas, red beans such as peanuts, nuts, peanuts, walnuts, hard dry nuts, the agriculture and field crops in general, walnuts, hazelnuts, peanuts, macadamia, pecan, shell nuts, white flour wheat, various spices, all kinds of coffee, coffee beans, cashews, almonds, flour products, powder products, spices, coffee varieties and ready-to-eat foods. Customization requests for different sizes are welcome. Body Structure AISI 304 L Stainless chrome, anti corrosion. Cover Material AISI 304 L Stainless chrome, anti corrosion. Packaging capacity per hour 90 packs / hour. 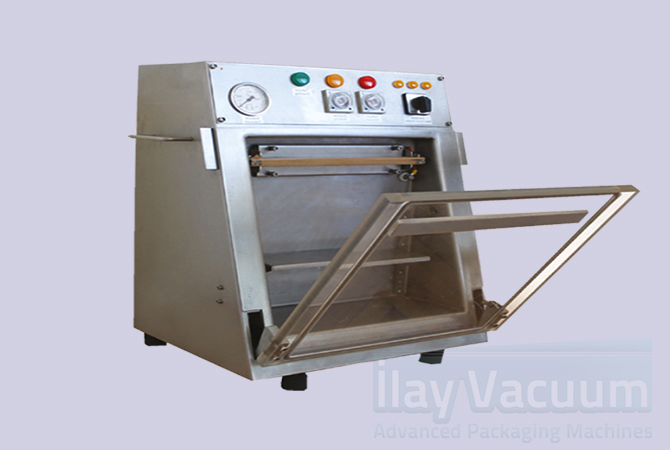 © 2007 - 2019 ILAY Vacuum - Advanced Packaging Machines. Copyright ILAY Vacuum ®. info [at] ilayvacuum.com. All rights reserved.